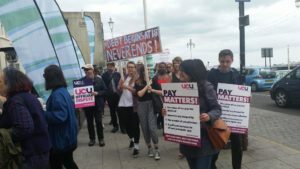 Striking university lecturers were warned that the government wanted to open higher education up to the private sector and create a two-tier system at a meeting on Wednesday (25 May). Tom Hickey, who teaches critical theory, culture and politics at Brighton University, criticised the white paper currently before Parliament. He said that it aimed to “significantly transform and partially dissolve universities by opening them up to private sector companies”. 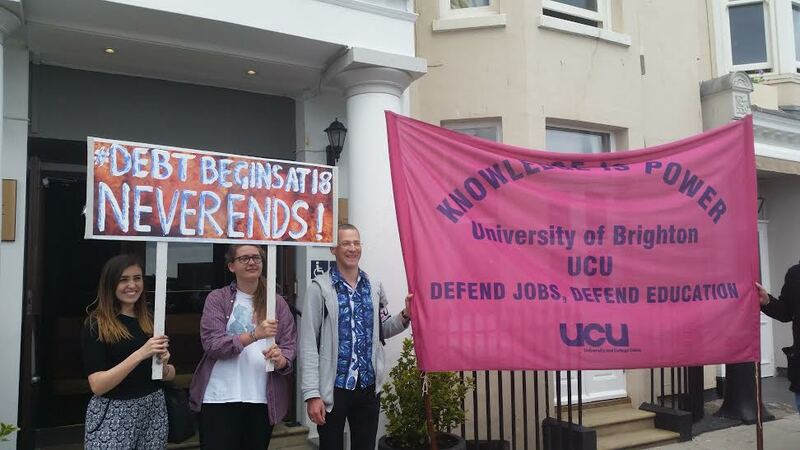 Mr Hickey was speaking to staff from Brighton University and Sussex University who gathered at the Old Ship Hotel on Wednesday 25 June for the first day of a two-day strike. He argued that this would result in a two-tier education system where students from rich universities could choose their university but poorer students would end up with cheaper “bucket shop degrees from universities at the very bottom of the system”. Mr Hickey condemned the “disaggregation and destruction of national common education available to everyone”. He will publish an alternative white paper next week. Law lecturer Tom Frost, from Sussex University, said that a quick key word search of the white paper found the words “competition” and “markets” mentioned 50 times each while “lecturer” and “academic freedom” were only mentioned just once each. 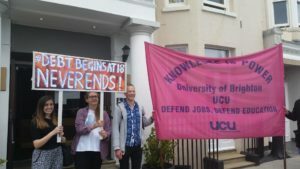 Members of the UCU (University and College Union) were striking about changes to their terms and conditions including a pay rise of 1.1 per cent compared with the 6.1 per cent pay rise awarded to vice chancellors. Some university staff are on zero hours contracts which Mr Frost said was unacceptable given the £1.8 billion of reserves. The union is campaigning for secure, permanent jobs and an end to casual employment. 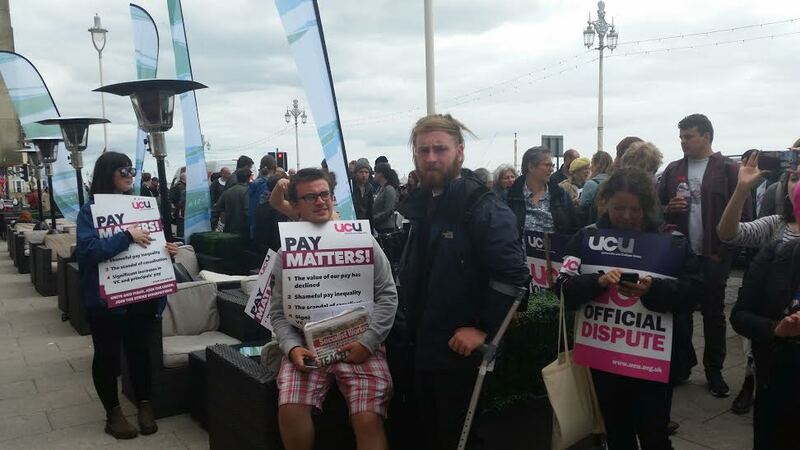 Research by the UCU estimates that 48.7 per cent of staff across the UK higher education sector are employed on some form of casual contract. 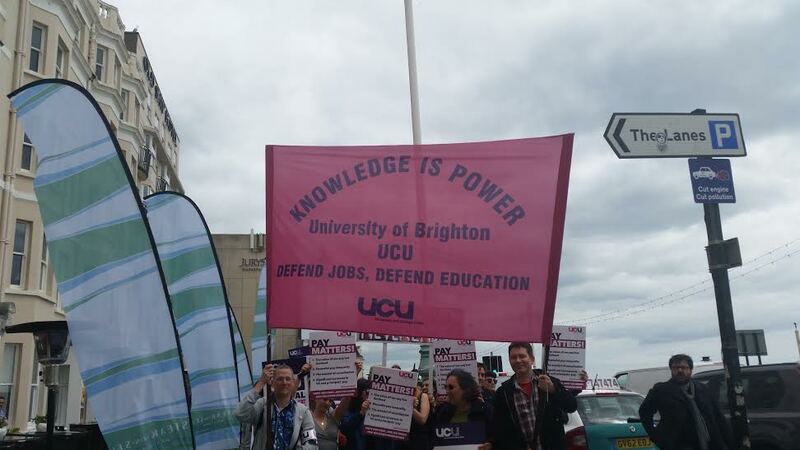 Brighton University said: “The University of Brighton is bound by national agreements and cannot negotiate or settle pay claims outside of this arrangement. 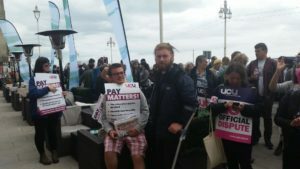 “The unions locally and the University of Brighton agreed to be part of national pay negotiations. However, protesters are also campaigning to close the 12.6 per cent pay gap between men and women by 2020 which is the 50th anniversary of the Equal Pay Act. 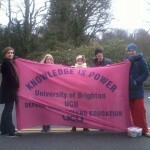 Sussex University said: “The University of Sussex strongly supports and is committed to equal pay for its staff. 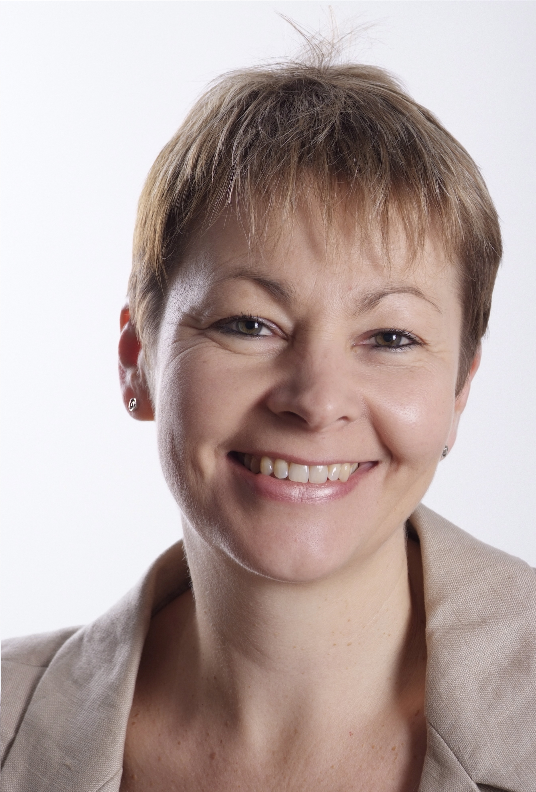 Brighton Pavilion MP Caroline Lucas said in support of the strike: “Students and higher education are under attack on too many fronts and the need to stand up and take action on education remains as strong as ever, not least because this month’s white paper establishes that the Tories’ drive to commercialise and marketise education is as strong as ever. “That is, the white paper approaches education as an opportunity for profit. And education should not be about profit any more than it should be treated as a game – as you all know it’s about much more than that. “It’s about a future for students and jobs and innovation, of course, but within a solid future for the UK’s skills base and for the quality of citizenship. “Education is about world-class teaching and research that can keep such a status only if staff and students are given the much-needed ‘academic freedom’ that’s needed as a bedrock, rather than ultimatums around maximising profit. “And, of course, there’s a more practical aspect if there’s to be a real future for higher education, and that’s the need for fair pay and for employers to take meaningful action to end casualisation and the gender pay gap. “This is badly needed so that university staff can afford to continue their excellent work and so that students can realistically consider roles in higher education and academia as a future career. Students studying moving image and photography are holding a show from Saturday 4 June to Sunday 12 June at the Brighton University site in Edward Street.